Welcome to Plover Beach Bed & Breakfast! We offer a friendly and relaxing Island retreat for travellers to start and end their days while experiencing Prince Edward Island. 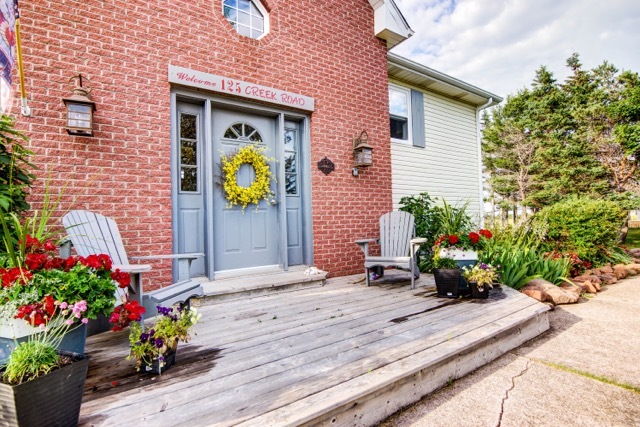 We are located in St. Peter’s Harbour, a quiet cottage area near the village of Morell. Decorated with a casual, beach house style and modern furnishings, each room has a queen bed and a private bath. A gourmet, three course breakfast is served daily. The property offers views of sand dunes, St Peter’s Bay and the Gulf of St Lawrence and is just a quick stroll from a secluded, white sand beach. We’re just minutes away from PEI National Park, Confederation Trail and Points East Coastal Drive. Not to mention the world-class golfing! It’s the perfect base for exploring the Island.